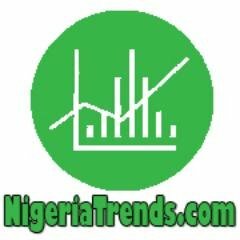 NigeriaTrends.com — Nigeria’s Golden Eaglets Orji Okonkwo dedicates screamer goal against Mexico, to his Mom, in the FIFA U-17 World Cup Semi-final which was played on Thursday, November 5, 6:00 PM at Estadio Municipal de Concepción, Chile. Orji Okonkwo – Golden Eaglets. Golden Eaglets’ striker Orji Okonkwo described his 35-yard screamer, which fetched second goal for Nigeria in the 4-2 defeat of Mexico in the semi finals of the FIFA U-17 World Cup as his best ever. I have never scored a goal like this before and you cannot practice this kind of goal,” admitted Orji Okwonkwo, the first boy in a family with six other children. “The goal I scored against Mexico today is a wonderful goal and I’m dedicating the goal to my mum who has been there for me; challenging me to be the best. “My dad died last year; I remember him too, but it is my mum that has been there for me all this while. I thank her so much,” he said. Okonkwo, is one of the team’s pacesetter performers who scored thrice, including a goal against Mali on April 21, 2014, at the sub-regional West African Football Union (WAFU) B Tournament in Togo, where the Golden Eaglets finished third behind Benin and Togo. Over 21,000 spectators including NFF President Amaju Pinnick, saw Okonkwo’s top -of -the -drawer goal but there was another person on his mind when his lively shot sailed into the net: Emmanuel Amuneke. “Today, I want to thank Coach Emmanuel Amuneke for pushing me so hard,” said the player, who was sanctioned and kept out of the squad for months prior to the African U-17 Championship in Niger Republic. He continued: “He is a nice person who wants the best for us. Before the match, he called me and said: ‘Orji, this is your chance, you can’t avoid to let yourself and Nigerians down’ and when I scored, I kept saying ‘coach, coach, coach.’ I’m grateful to him,” added the teenager who is two-time winner of the annual Karanka Reveria Invitational Tournament in Croatia in 2013 and 2015 with Abuja Football College.